You are currently viewing the United Kingdom version of the site. 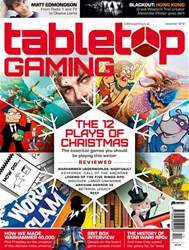 Getting into the festive mood for this month’s magazine, the Tabletop Gaming team and you very readers have put together a list of the 12 Plays of Christmas – over a dozen modern classics that you should play with family and friends during the holidays. We’ve even set them all to a song, if you’re in the mood for a gaming carol. As the nights grow long, we gather around a candle with Great Western Trail and Mombasa creator Alexander Pfister to take a look at his new game, Blackout: Hong Kong. Set in a powerless city plunged into chaos, it promises to be something unexpected from the accomplished designer. There might not be a new Star Wars hitting cinema screens, but the Force remains strong with the galaxy far, far away. We travel back to the beginnings of the saga and look at the history of Star Wars in roleplaying games, discovering how the tabletop redefined and saved the sci-fi space opera. In a very different sci-fi universe, Warhammer 40,000 creator Rick Priestley takes us back to the genesis of the grimdark galaxy and considers how it’s shaped the state of sci-fi on the tabletop more than three decades later. Most people know Matt Edmondson as a BBC Radio 1 DJ and TV presenter, but he’s also been behind some of the funniest party games in recent years. As he follows up the ridiculous rhyming of Obama Llama with Santa Banter, he tells us about getting into games and what comes next. 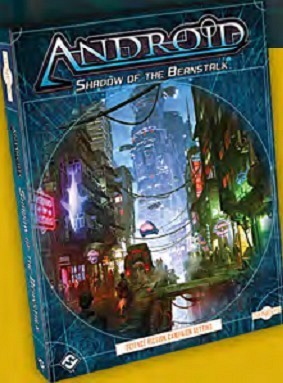 Plus, we’ve got the definitive verdict on this winter’s biggest games, including reviews of KeyForge: Call of the Archons, Betrayal Legacy, Discover: Lands Unknown, Arkham Horror: Third Edition, Warhammer Underworlds: Nightvault, Legend of the Five Rings RPG, Reef and more!